Discussion in 'Mixing and Mastering' started by Karlsplatz, Sep 16, 2018. On my current mix I am not satisfied with interaction of all parts during the chorus. So I tried to get some insight by freezing the frequencies to get an idea whats going on. My question is now if this is, according to your experiences, a missleading way to get a balanced mix? I dont like e.g. the tip around 7-8k and would try to eq it in certain instruments/parts. Also I might gently compress some 500-1500 areas to flatten that out a bit. As I already said, my goal would be an overall nice, balanced mix. Thanks for your insights and time, guys! More simple my question would be, if its missleading to think that spikes like at 7-8k are good hints where a reason for an unbalanced mix may lay. if this is, according to your experiences, a missleading way to get a balanced mix? You mean if using a freq analyzer to get a more balanced mix is a good thing??? Every mastering studio (and hopefully mixing studios too) uses a freq analyzer, so, yes, it's a good thing. The high peaks between 8 - 9kHz is caused by the "Z" from Zauberstab and you can tame this with a dynamic eq or a deesser. 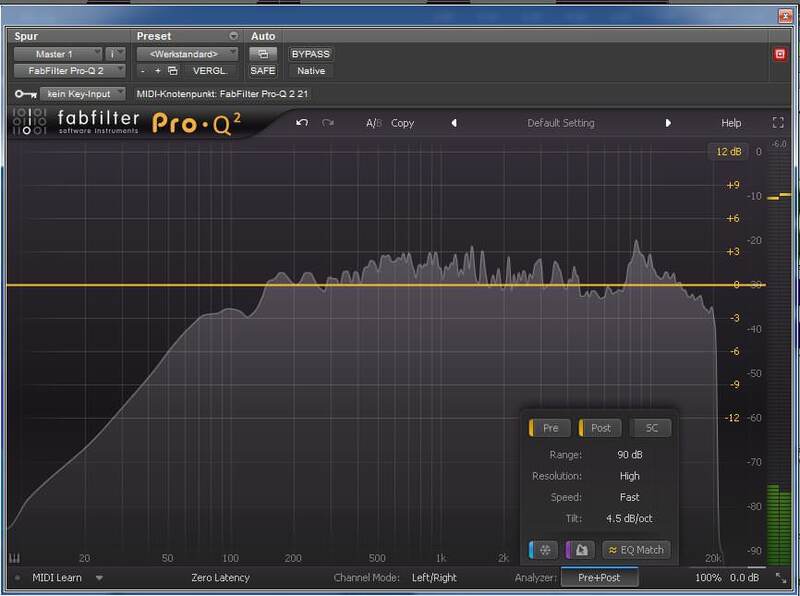 Lowering the 500 - 1500Hz range reduces the "radio sound" and makes your mix sound more fresh (if you don't overdo it). Thanks No Avenger, helps me a lot. Maybe think of it in a different, artistic way. Traditionally, a chorus can be a part of a song that stands a bit apart from the verses and is kind of a center in which the rest of the song orbits so needs to be magnetically stronge, in popular music it should something that grabs the attention. This might be achieved by altering the equalization ratio of frequencies that it might create a novelty that the ear recognises as being out of the ordinary and therefore special.